Summer season is here again. With that in mind, it is a great idea to bring your family out for some summer fun. Aside from going to the beach and for a dip in the pool, there are plenty of things to do around Essex during this season. A nice trip during the summer can truly help the whole family bond. Go over to Colchester Leisure World at Colchester for some family fun. It offers a 25m long fitness pool with different levels. A leisure pool with iconic flumes, crazy river, wave machine, shipwreck water cannons and castaway spa pool bubbles. While you’re in the area, go ahead and visit the Castle Museum. In this castle, your whole family can explore over 2000 years of some of the most important events in British history in this magnificent Castle! While you’re at it, take the whole family over to Adventure Island on Southend-On-Sea. Experience the thrilling rides and attractions. Don’t forget to drop by the Central Museum & Planetarium at Southend-On-Sea. Visit on a Saturday and you get to watch the public performances at 11:00, 14:00, and 15:00. 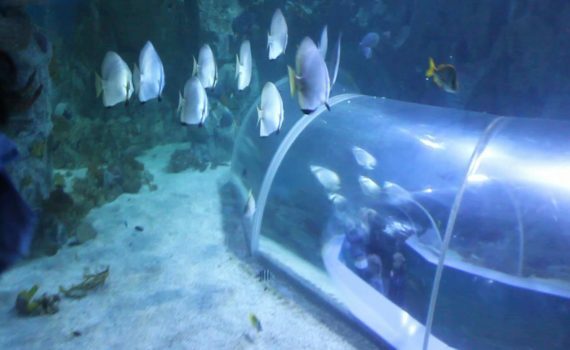 While you’re in the area, visit the Sealife Adventure at Southend-On-Sea. It’s great for children of all ages. It’s the South East’s premier aquatic attraction has over 40 displays featuring sea life from across the world. On Maldon, you can head over to Blackwater Leisure Centre for some water adventure. The pool is 25m in length with a separate teaching pool, which is 7m and 0.9 metres deep. There’s also a bubble pool and more. Do you have more suggestions? Let us know in the comment section below!